Hi friends. Real life + lack of desire to blog has kept me from you. Sorry, but it’s sometimes just no fun to take precious time out of my day to plop in front of the computer- after being in front of one for 9 hours- and recount things I saw, did, or ate. Blech. Perhaps the inkling will work it’s way back to me soon- but for now, mmmmnotosomuch. Sunday: Made up sone 10-12-15 rep circuits (including UH lat pulls/pushups/OH press; plate pushes/stability ball side lunge/foam roller hip lifts), Spin, and a great finisher of plate push sprints. In the comments: Did you have a good workout lately?? WHY was it good? I wanna know! 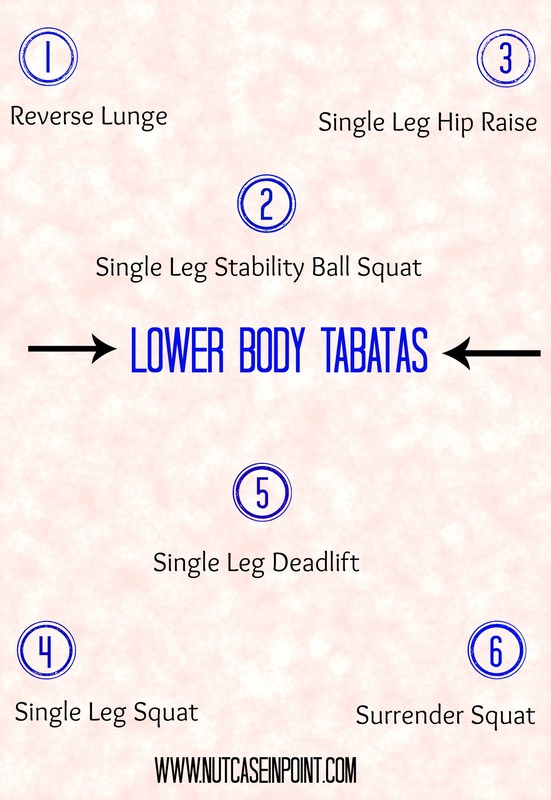 I had great workouts last week… they left me SO SORE and I think it’s because I gave up on lower body training for a while (I just hate it and was trying to take it easy because I was sick and then I was so sore from Barre that I just didn’t do legs!). It felt good to be in a good groove last week, but this week i’m bored with my workouts again. womp. Yeah, I really need to up my game on winesday Wednesday posts. For a while, I just really had no content! 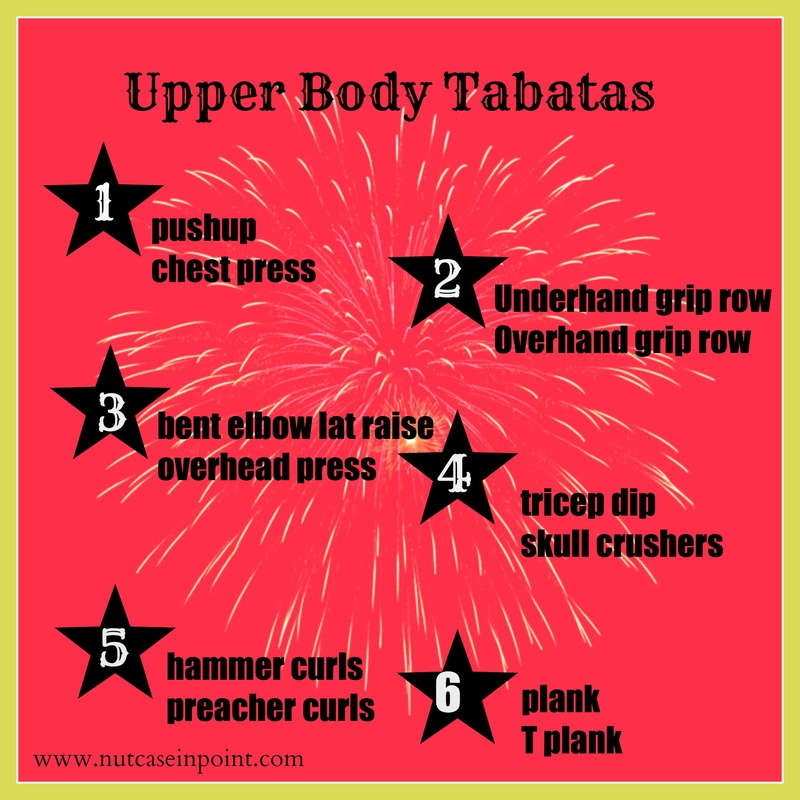 LOVE that upper body strength tabata. It’s my go to for upper body days!